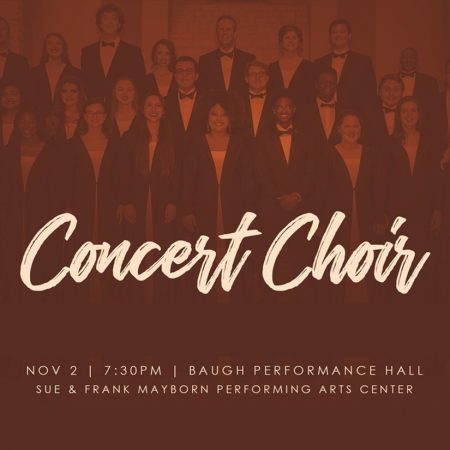 Belton, Texas – On Friday, November 2, the University of Mary Hardin-Baylor Concert Choir will hold its fall concert, titled “Songs of Hope,” at 7:30 p.m. inside the Baugh Performance Hall of the Sue & Frank Mayborn Performing Arts Center on the UMHB campus. This event is free and open to the public. The centerpiece of the program is a poignant song about suicide titled “Please Stay.” The composer incorporates tweets from real people who contemplated suicide but chose to keep living instead. It is a powerful testament to life and courage. The program also features student conductor Matt McKinnon and soloists Diajinae Harris, Sarah Ash, Savannah Sepulveda, and Sean Clark. The final piece on the program features a string quartet and UMHB percussionists Jeremy Cannon, Diana Freese-Sagarino, Curtis Hair, Reymond Rivas, and Haley Spencer. Tickets are not required but guests are encouraged to arrive early. The doors of the Sue & Frank Mayborn Performing Arts Center will open at 6:30 p.m. Seating begins at 7:00 p.m. For more information call (254) 295-5999.